Welcome, Kappa Kappa Gamma Member! Kappa Kappa Gamma has partnered with GIN to provide a members-only GINsystem and a public chapter website for each collegiate chapter! 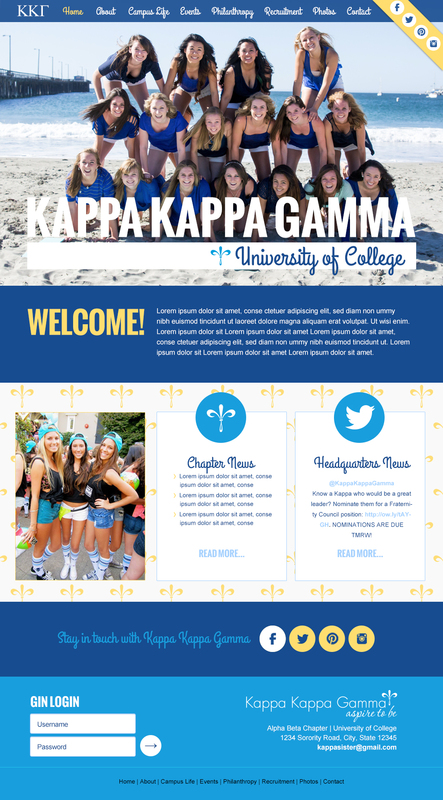 With Kappa Kappa Gamma’s GINsystem partnership, your chapter will have a compelling online presence with a website that highlights KKG, which your chapter can customize to fit its needs. 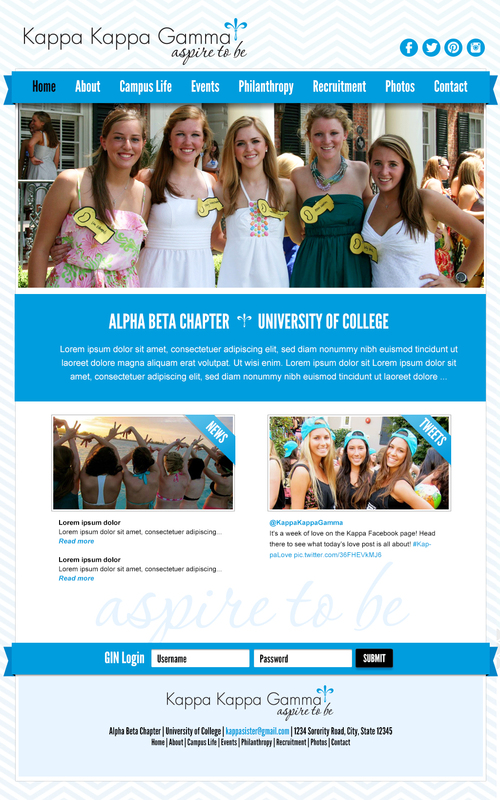 The sites are mobile-friendly and a great way to promote your chapter to the community. And they’re easy to update with no special knowledge! Add pages, files, videos, and more—it’s easy!